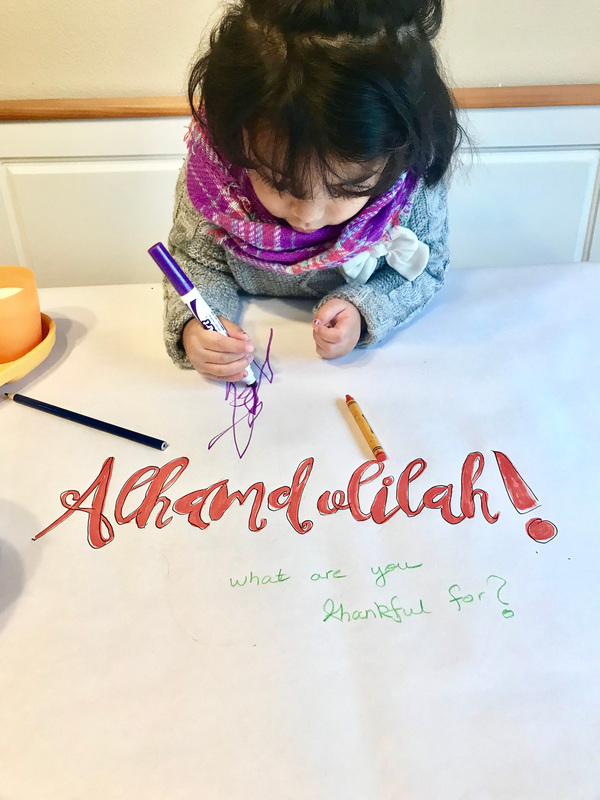 So with Thanksgiving and the other holidays around the corner, as an imigrant muslim mom, I always feel unsure of how to approach them. 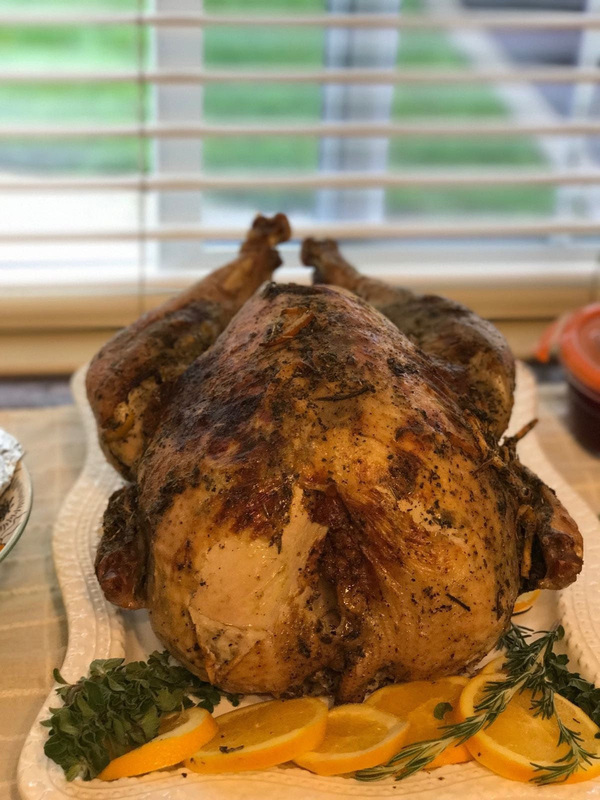 On the one hand, I love Turkey…and food. But on the other hand, am I confusing my child by celeberating holidays from other cultures? So here are my thoughts on this holiday (and everyone is entitled to their opinion, this is simply what works in my family). We do the turkey, and the yams, and potatoes … (I really do love food) But try and put a twist on it. Rather than focusing on the holiday and it’s history, we focus on what it means to us. We use it as a day of Thanks. A day we take time to say Alhamdolilah for the things we have. And honestly I think its a great day to start teaching our kiddos some humbleness about the privilage they do have. 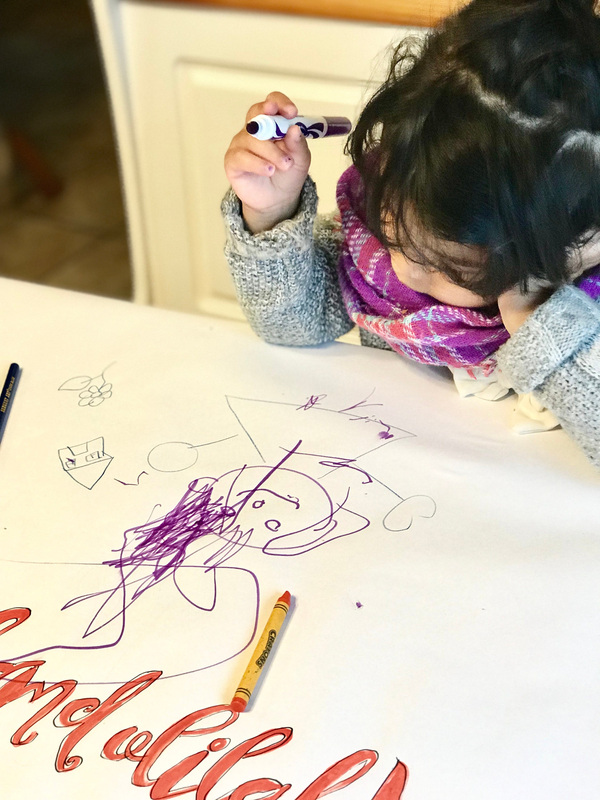 So what we do in my family, is instead of a table cloth, at the start of the day, we lay out craft paper on our table with markers and crayons. We encourage our kids (and we write them too) to write of things they are thankful for through out the day. It makes a nice focal point and activity, and a great conversations starter when you finaly sit down to eat! 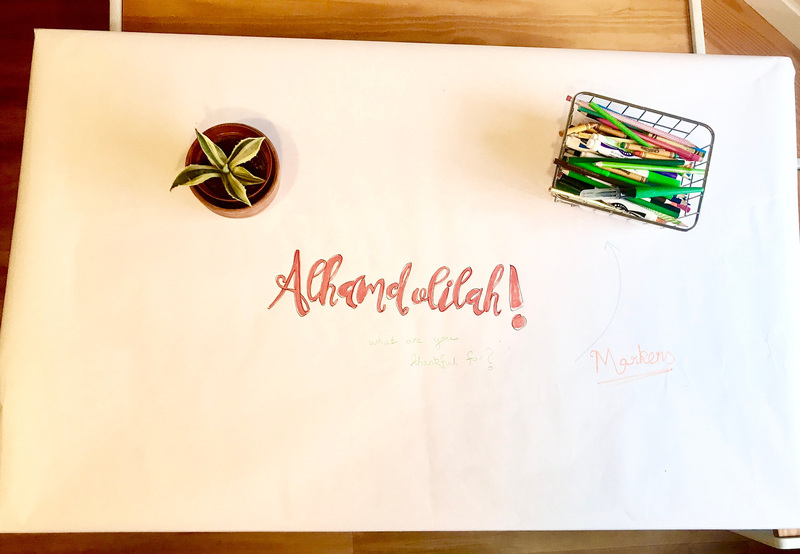 Keep an eye out for an easy tutorial on how to write Alhamdolilah all pretty (because we all want to be pintrest pretty 🙂 ) when you have no artistic skill! For my daughter who is still too young for words, or even understanding questions, I focused on pictures. Draw what things you like. She told me to draw a house, and a flower… then drew a potrait of me, check out my amazing hair style! How do you guys celebrate the holidays? Next PostSensory Play to Learn Arabic!